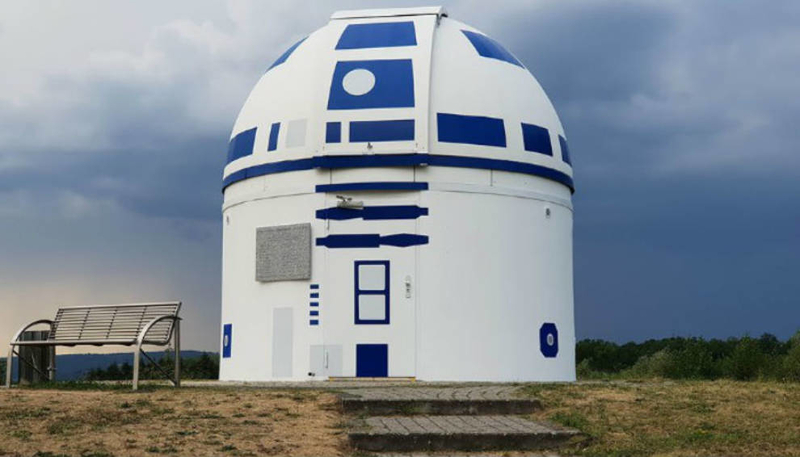 Professor Huber Zitt, professor of applied sciences at the University of Zweibrücken, Germany lived in a galaxy far far away. He was also known for his lectures on “Star Trek” and “Star Wars”. 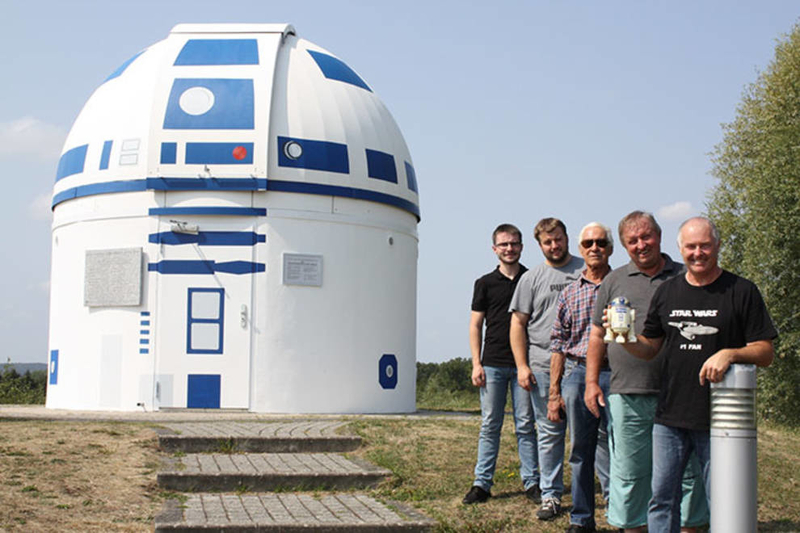 Together with his team he managed to turn the old observatory into the well-known R2-D2 robot. 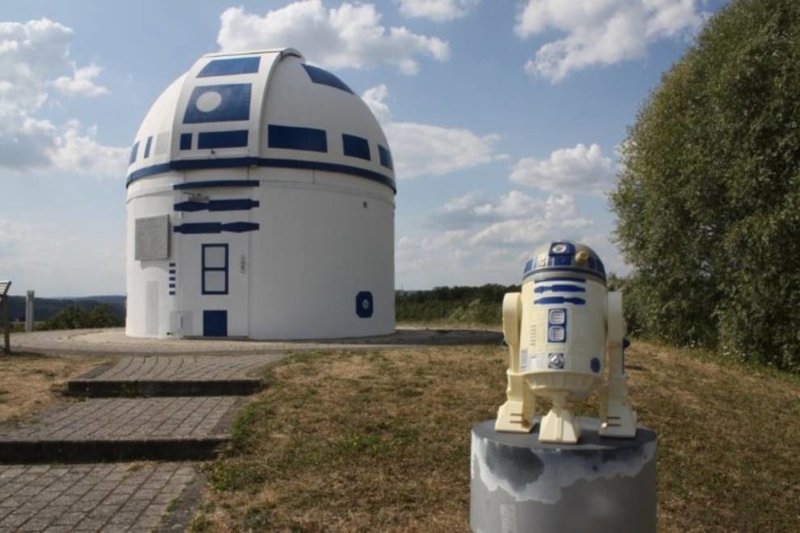 As it turned out later, these were not the first Star Wars fans who took up the building's alteration in a robot. 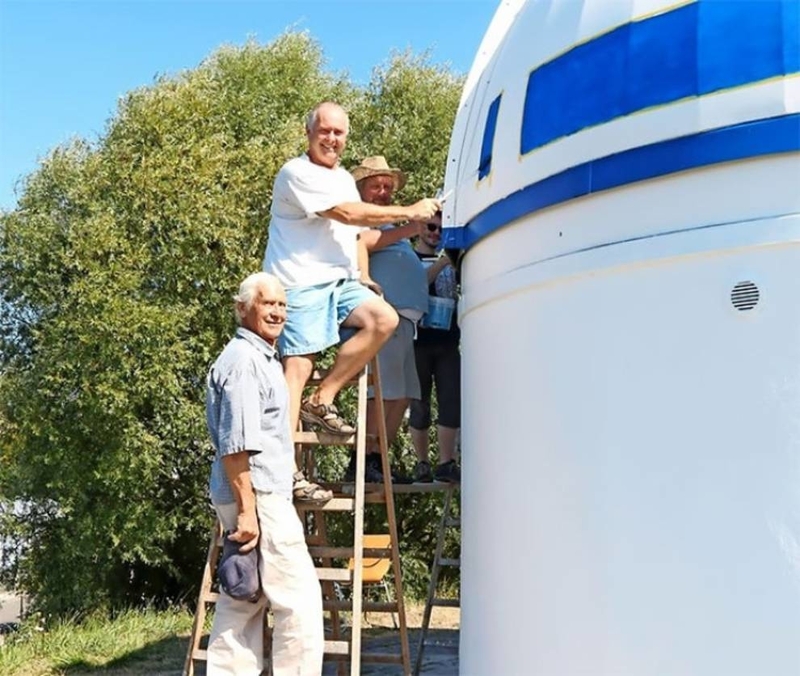 In 2010, Goodsell Observatory at Carleton College, Minnesota, was also converted into an R2-D2 droid. 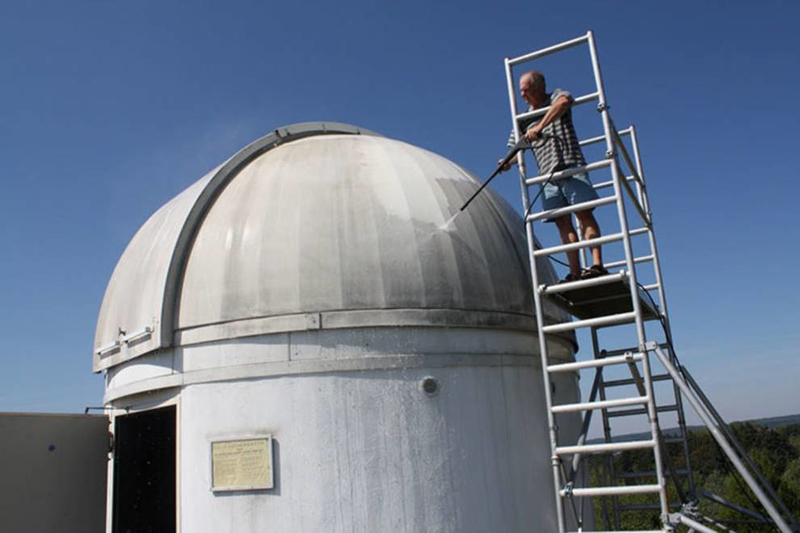 At one time, Huber Zitt received his doctorate at the University of the Saar in the field of the theory of systems of electrical technology and now teaches at the University of Zweibrücken as a full-time professor. 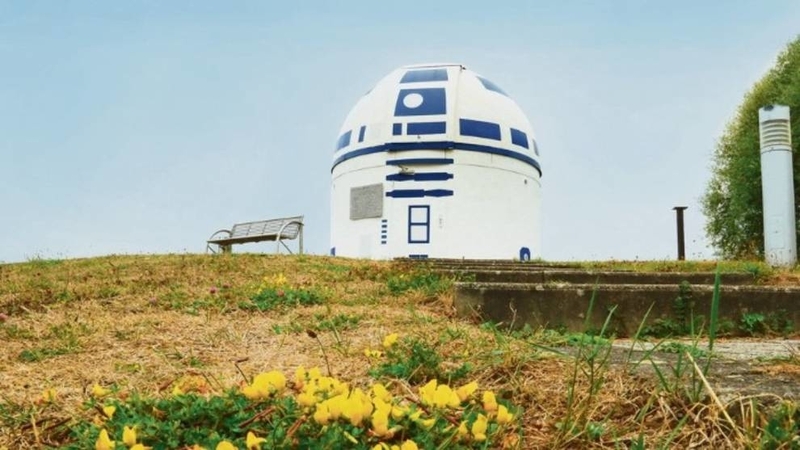 In his spare time, he began to give lectures on the “Star Trek”, and later on “Star Wars”. 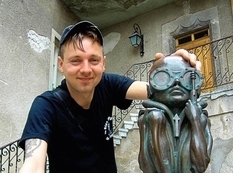 His first speech was called "Christmas Lecture", and in 2005, Sitt went to other European universities and conventions of popular science fiction.